Drs. Scheinfelds, Orland and their team provide your family with state of the art, rewarding, comfortable dental care. In our Sandy Springs and Acworth offices, patients come first. ABOUT US IS ABOUT U. Everything we do, from the office design, to our clinical and management training, to the friendly atmosphere we foster in the practice, is for your pleasure and satisfaction. Explore our services and technology, imagine the possibilities, and then give us a call. 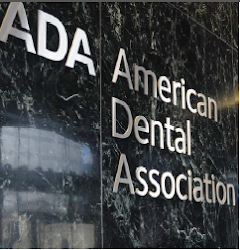 As time advances Prosthodontic dentists are gaining popular recognition as patients become more aware of the advances in implant dentistry and how it can enhance their everyday lives. Prosthodontists are expert dentists with a post graduate ADA recognized degree centered around a complete knowledge of dentistry, where function and beautification of teeth are combined in the final result. This specialty is university trained in the cosmetic restoration of implants that combines methods, procedures and plans which ultimately improve your personality as much as they improve your mouth. The first advantage of a prosthodontist is their strategic approach to implant dentistry. As a result of their training and experience with difficult cases most oral surgeons and periodontists rely on the prosthodontist to act as the quarterback of the procedure. While still a complex procedure there are techniques derived from years of training that with significant preparation allow for teeth to be implanted in a day and utilized by the patient shortly thereafter. Finally, technology often comes into play and again while technique sensitive, implants are very easy to incorporate into timely and favorable results. The combination of all of these techniques rest comfortably within the purview of a prosthodontist’s training and expertise. A comprehensive approach by a prosthodontist is the best way to get your inner confidence boosted and your personality improved. Today, more and more people are becoming aware of what cosmetic dentistry has to offer in their everyday lives. With this awareness, there appears to be an increase in the demand for general dentists to offer cosmetic dentistry in a fast and effective manner. More than ever before, dentists are challenged to create a beautiful smile utilizing various modalities of restorative dentistry. But is the general dentist the right person to be trusted with your precious smile? The majority of general dentist are trained to maintain your oral health care. But when it comes to the cosmetic aspects joined with the functional aspects of your smile, you might want to see a specialist, i.e. a prosthodontist. Prosthodontists are specially trained to blend modern aesthetic techniques with the other important aspect of your teeth, i.e. eating. There is a lot more than meets the eye then just altering the way a smile looks. It also has to function and the training to make that happen properly is what is taught in the two - three year post-dental doctorate speciality of prosthodontics. Prosthodontics: (crown, bridge, and implants) A Prosthodontist has a specialty license pertaining to the diagnosis, treatment planning, rehabilitation and maintenance of the oral function, comfort, appearance and health of patients with clinical conditions associated with missing or deficient teeth and/or oral and maxillofacial tissues using biocompatible substitutes. Most dentists are not trained prosthodontic graduates of a dental school - rather they take short continuing education and utilize trial and error experience to be able to understand how size, shape, color and symmetry all work together to create what a prosthodontists is trained in their post graduate work. On the other hand, the prosthodontist is trained at a university to create the smile that implements the use of veneers, crowns, bridges and the increasingly more common procedure of dental implants to ensure that the right smile is achieved, both functionally and aesthetically beautiful. If anyone has a specialty in cosmetic dentistry, it would be the prosthodontist. So when you are seriously looking for a cosmetic dentist, look for a prosthodontist. Of the 170 thousand dentists in the United States, only 3200 are prosthodontists. Of those, Forbes magazine reports only 560 are practicing. The Prosthodontist is the second rarest job in the United States and the rarest of specialities within dentistry. While we in dentistry encourage our patients to brush twice a day for the rest of your life, the time has come where we need to be more socially conscious in the education of our patient pool with respect to their use of water while brushing. I encourage all of your family members and friends to turn the water off every time they brush their teeth (at least twice a day) and run the water only when necessary as in rinsing your mouth or cleaning your brush. That’s it? Yes, that’s all you have to do to be good environmental citizens. Depending on where your water source come from, turning off the tap while brushing your teeth can have a positive impact on our springs, rivers, and wetland habitats that might otherwise be damaged by water treatment plants. The incremental impact when taken as a whole can be lessened in huge ways that will positively affect our entire country and for that matter the entire earth. Applying this practice will equal a savings of over 2,800 gallons of water per year for each individual in the US who takes this simple step. And for those still operating pre-1992 faucets, the number is double. If you are one of those people that don’t think about how much water your faucet it putting out, you will probably leave your water running while you brush your teeth. 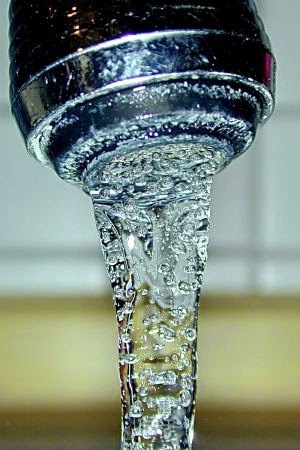 Generally, the average person will turn on the water, rinse their tooth brush, put tooth paste on tooth brush, brush their teeth, spit a couple times, brush a little more, rinse tooth brush off, maybe even use a mouth rinse or mouth wash, swish that around a bit, spit it out, rinse out the sink, and finally turn off the water. This process can take up to 3 minutes to complete. In fact, the Oral-B electric brush does a 3 minute countdown to brushing your teeth. So during those 3 minutes about 12 gallons of water is wasted. The average person brushes their teeth 2 – 3 times a day, which would now make your water usage about 24 to 36 gallons of water per person per day. Looked at the usage from this approach, we are up to a single person brushing their teeth anywhere from 732 to 1098 gallons of per month, which is a drastic difference from the conservative amount estimated in the paragraph above. With 365 days in a year, that’s over 13,000 gallons a year. That’s an awful lot of wasted water. It’s easy. Make a conscious effort to turn off the water while you brush your teeth. Each person in each family can use water more efficiently to preserve water supplies and our environment for future generations. This means that you, your family, and your friends can participate in protecting the future of our nation’s limited water supply and your children’s future each time you brush your teeth. And a self-imposed effort now could avoid our government from stepping in and imposing conservation later. Conserving water is not incompatible with brushing twice a day and as model citizens, you become trustees of small measures that will make a big difference and ensure efficient use of our water supply for generations to come. It makes cents. If you can’t be motivated by being green, then look at the dollars. The average cost of water is $0.005/gallon. So if a single person uses 13,000 gallons of water a year to brush their teeth, this costs $65/year for 1 person to brush their teeth. So take $65 and multiply this by how many people live in your home and you will see how much water is costing you just for you to keep your teeth healthy. And this doesn’t even count that most jurisdictions charge 1 to 4x’s for the cost of sewering the water. It’s simple. Turn your water off unless you are using it. Don’t turn on your water and just let it run in the sink while you are brushings your teeth. And if your faucet is older than 1992, you should to buy a new one. As always, if we can be of help please contact us. Dentist Buckhead: Too much information---about dental implants!! Dentist East Cobb: Too much information---about dental implants!! Alpharetta Dental: Too much information---about dental implants!! Dentist Roswell: Too much information---about dental implants!! Dentist Dunwoody: Too much information---about dental implants!! Dentist Woodstock: How Much Does Teeth Cleaning Cost? Dunwoody Dentist: Are You Thumbing Your Mouth At Me? 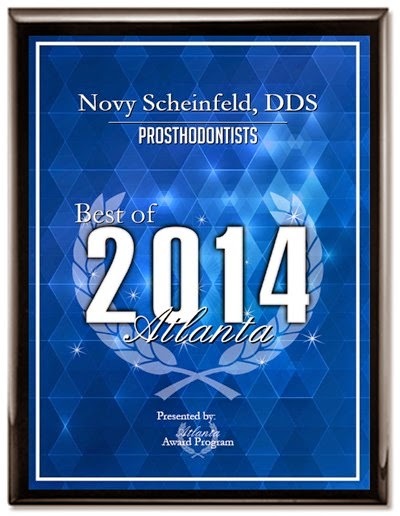 Dr. Scheinfeld, managing member, is a trained prosthodontist from Emory University School of Dentistry and has maintained her specialty with countless hours of continuing education. To many in metro Atlanta, she is the dentist's dentist. Dr. Novy Scheinfeld, Dr. Sidney Tourial, Dr. Nanci Lubell, and our team will provide your family with contemporary, rewarding, and comfortable dental care. In our Sandy Springs, GA dentist's office, patients come first. Everything we do, from the office design, to our clinical and management training, to the friendly atmosphere we foster in the practice, is for your pleasure and satisfaction.